Much before the launch of Google Pixel phones, we got the glimpse of Pixel Launcher. It was a new style of approach by Google by ditching the app drawer icon and add the swipe up gesture to launch app drawer instead. After that, some of the popular launchers like Nova and Action Launcher were updated by the developers in the Pixel Launcher style. There is no denying the fact that we can get the Pixel Launcher feel on our phone via these custom launchers but there are some features that you still won’t find on these launchers that are on Pixel launcher. If you are in the beta program of Action Launcher, the chances are that you have got the update today. 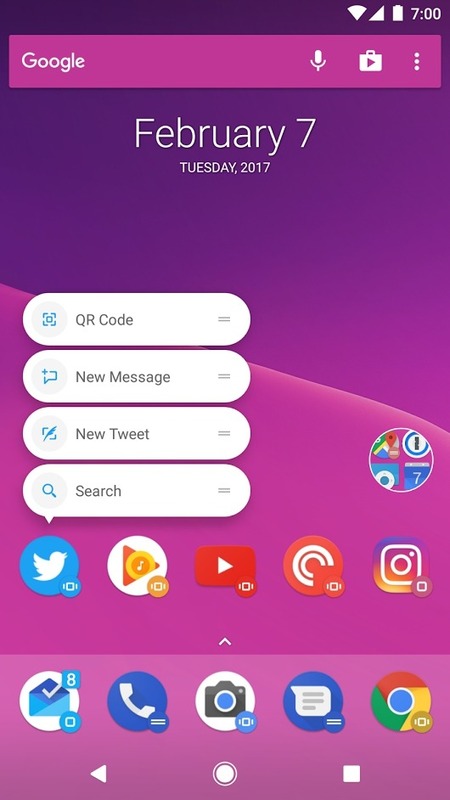 We are talking about the Action Launcher Beta v3.13 that was released today, and it comes with even more Pixel Launcher features. Pixel Launcher’s UI styling for App Shortcuts (previously known as Quickcuts). App Shortcuts can be used in combination with Shutters. App Shortcuts can be dragged and placed as shortcuts on a home screen. New icon indicators for Covers, Shutters and App Shortcuts. Add animated caret indicator when opening/close Pixel style All Apps. The updated version comes with t=more improved App shortcuts that no include some options related to the app itself and not just the ‘Uninstall’ and ‘App Info’ options. Well, it seems we are surely going to see the version of Action Launcher with all the features of Pixel Launcher very soon. You can download the latest Action Launcher Beta app from the play store if you’re a Beta Tester or from the direct link that is given below.